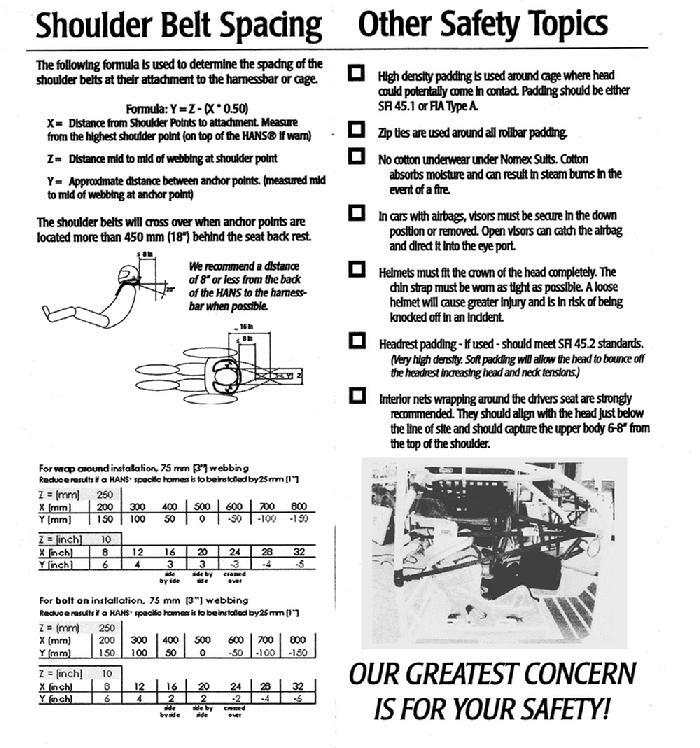 Recertify your SRP belts. We will not recertify belts with hardware that is rusted or damaged to where we believe it will no longer operate properly. See Price List for pricing. 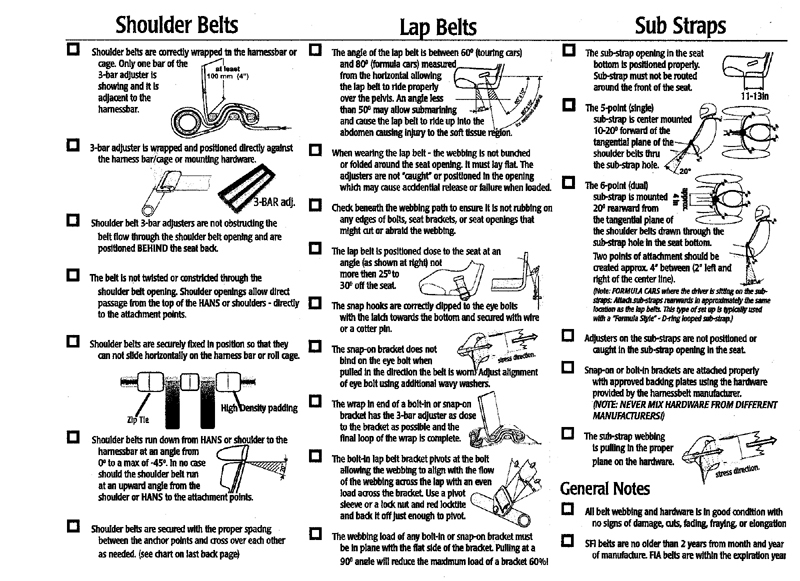 ( SFI -rules, state that a manufacture can only recertify there own belts.) SRP does offer a trade-in program. Bring in your non SRP belts for trade for a new set of SRP belts, for any type of belts you want. Belts that are traded in are rewebbed for resale at a low price. 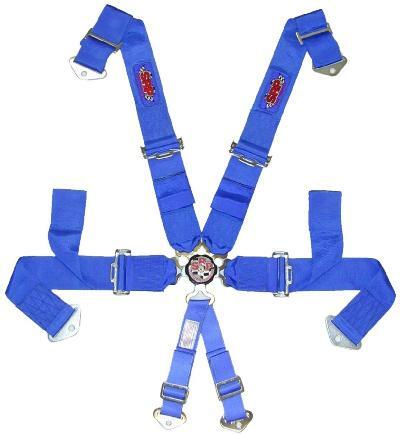 They are not SFI rated and can not be used in racing that requires SFI belts. Availability may vary. 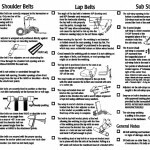 RESTRAINT INSTALLATION: Follow all the instructions when installing your restraints. Mounting angle, mount strength and belt path are all critical to a proper mount. 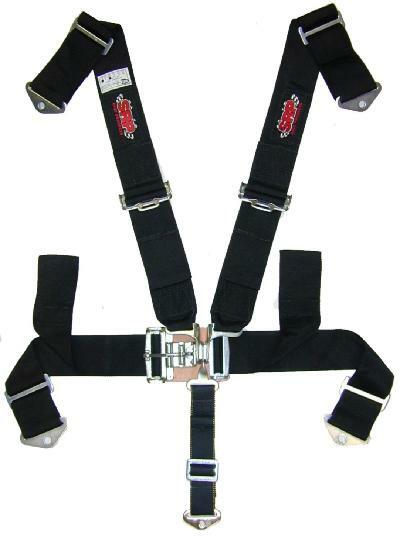 Frequently inspect your restraints for wear and abrasion. 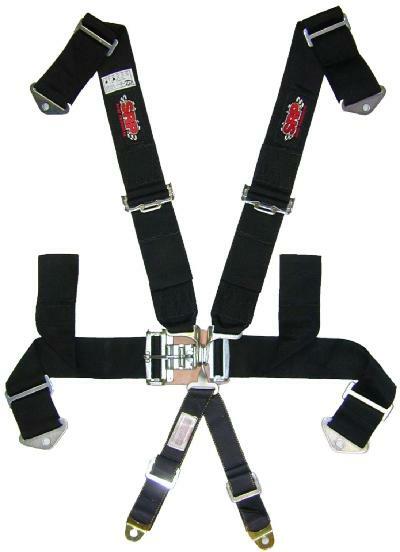 Replace any restraint involved in a crash with a new set. With crashes in excess of 100 g’s becoming more common, you don’t want to compromise your safety. 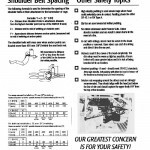 RESTRAINT INSPECTION: Restraints must be maintained, inspected, and replaced every two years in accordance with SFI 16.5 and 16.1 Specifications. Testing shows that the webbing degenerates from exposure to the elements over time. Prolonged exposure of seatbelt webbing and thread to sunlight can cause degradation of the fibers and loss of restraint integrity.